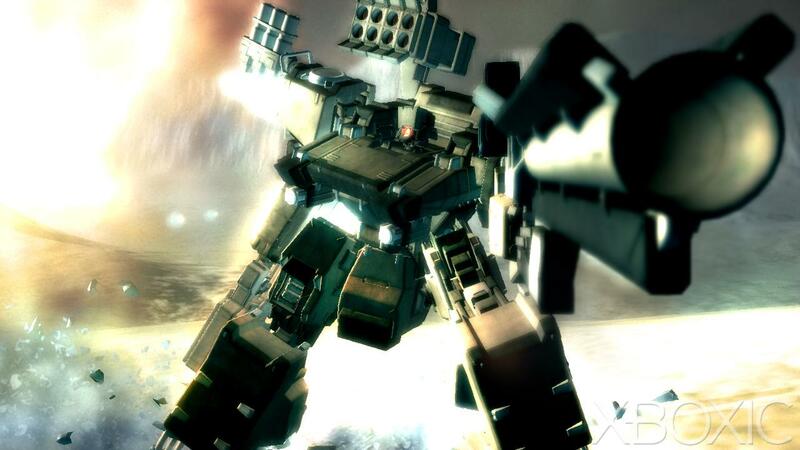 Playing Armored Core: for Answer and enjoying my mecha-simulation/nerd-time has lead me to an interesting question: which anime genre would you most like to see made into a sim? Now, I know you’re going to laugh at this one or even, maybe, venture to say that it’s been done before, but I’m going to say right now that visual novels and Japanese DS games do not count in considerations of this matter. Thus, the first thing on my wishlist would probably be a an old-style shoujo, Fushigi Yuugi, epic-yet-still-surprisingly girly video game. I can imagine this is asking a lot – good writers that can convey an epic tone while still translating the lighter comedic aspects of the game. Also, if it wasn’t too much to ask for, I’d like a visual novel style choose-your-girl-through-plot-decisions which affects which girl you get and also whether you get the bad ending, etc. So, in other words, something kind of like Ar Tonelico or Thousand Arms, except with people who really care about putting out a good game and are truly committed to a sim treatment of the genre. That said, though, I’ve got to get in another ultra-nerdy sim idea before I end this post: the Hikaru no Go/Sports Anime sim. Yes, I know: FIFA Soccer has gotten soccer games down to a science, and any Go (囲碁) game computer can only do so much… blah, blah, blah. But what I want is something that lets you develop your character outside of the game. Something that lets you explore his psyche and shape him as he learns. Heck, if it were something like chess or Go, it would even allow the player to really learn the sport as he started, suggesting moves at first and teaching him good technique before letting him fight it out with stronger opponents. At the same time, it would allow the player the choice as to whether to go to a club and play a match or two, seek new recruits for the club by exploring his town and school, or enroll in one of the weekly tournaments for prize money. Also, a game like this would allow, in this internet age, online match systems that might make up for the lack of computer skill past about 9-12 kyu, allowing for weekend tournaments with real-world prizes such as trinkets like shirts or posters for the lower-end tournaments or even a nice board set for the higher-end tournaments. This said, it wouldn’t be an MMO. Everyone would play in their own world, maybe inviting one or two people into their world when they form teams, but otherwise keeping separate in order to develop plot-line and learn through classes. It just occurred to me that if there were a game like that with interactive teaching lessons AND a good story, I’d be all over it like a fat kid on German Chocolate cake… haha. A game like this could be both entertaining and educational, which makes one wonder why there really are absolutely no games worth their salt at the moment that boast any of these (excepting puzzle games which are more like a 50-yard-dash than an actual mental marathon). And I’ll leave you with that thought as I absolutely must get to bed if I expect to rise at any hour tomorrow, let alone a decent one. Before I go, though – even though there are games that fit this bill to a certain point, e.g. – the Megaten series, there really aren’t any that take the anime as a whole and try to literally kidnap you into their world over and above the linear rpgs we’ve grown to love over the years. Tell me what you think about this and what you’d like to see. Lol. I’d totally be all over a hikaru no go sim. That could be awesome. To be perfectly honest, with the growing complexity of games, it seems likely that this sort of thing could come into existence soon. The groundwork is already laid, although it would take a significant amount of work and creativity from a game developer, as well as some very dedicated players. Could be tricky. It would be nice to have a game where you could really develop your character like this and maybe even get something mentally challenging out of it as well, though. Your German chocolate cake reference made me think of Matilda. Creepy.